Over in The Rocks, The Australian Heritage Hotel is famous for its gourmet pizzas, with more than a dozen covetable creations gracing the menu. These aren’t your run-of-the-mill offerings either, with plenty of toppings as patriotic as the pub’s own moniker. Think, crocodile with mushroom and eggplant, and The Coat of Arms, featuring emu, native pepper-marinated kangaroo and lemon myrtle mayo. With a name like that, it’s no surprise this CBD bar has a rep for throwing down some seriously good pizza offerings. The legendary Frankie’s serves pizza by the slice, or by the pie, all with a healthy side of rock’n’roll good times. Expect bands or DJ’s every night of the week, a solid craft beer line-up and a pizza menu with options for every palate – from The Pepperoni, to a sausage, mushroom and truffle oil treat they call The Stugots. Out of an historic pub building on Cleveland Street, The New Britannia’s offering has a gastropub lean, with gourmet pizzas the stars of the menu. These hand-stretched, New York-style beauties are the kind that’ll keep you coming back on the regular, featuring tempting toppings like house-made meatballs with roasted capsicum, and fresh fish with mussels, capers and prawns. 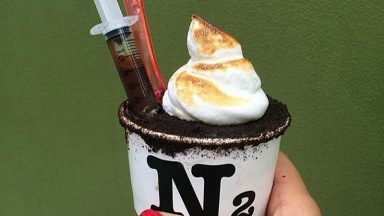 We all know pizza and beer make for a winning combination, but how about rounding out the experience with a top-notch cocktail as well? 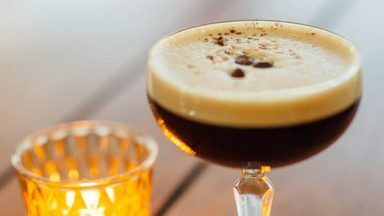 Award-winning cocktail bar, Assembly has you covered on all fronts – not only are staff whipping up incredible liquid creations, they can also bring you piping hot, Naples-style wood fire pizza from the Assembly restaurant. It’s all made fresh in house, using a 48-hour dough. Don’t let the designer digs fool you – Surry Hills’ Dolphin Hotel is slinging some superb, hand-stretched pizza creations, and they’re not even the kind that’ll break the bank. Swing by the public bar to enjoy Italian-inspired toppings, featuring top-quality local ingredients – think, blue cheese with spicy sausage and potato, or a classic Marinara – along with smart cocktails and great Aussie wines. 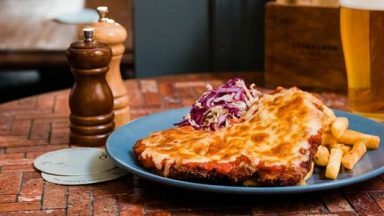 Any pizza fan would be stoked to call this Paddington pub their local, thanks to the downright tasty pizza creations being plated up by the kitchen. Delectable toppings here include the likes of a punchy chilli chicken, Peking duck with mushroom, and honey glazed ham and pineapple. Plus, if you roll in during Wednesday’s weekly pizza night, you can grab two for the price of one, from 5pm. The superthin, Roman-style pizzas are undoubtedly the stars of the show at this popular group of venues, though you’ll also find plenty of other great reasons to stick around. A banging rotation of wines, beers and cocktails has been carefully picked to complement any pizza feasting session, while ‘apé hour’ will hook you up with $6 drinks from 5-7pm each day. This award-winning Balmain gastropub is renowned for its excellent eats, but it’s not just about fancy-pants oysters and elegant entrees. The Riverview kitchen also plates up a banging public bar pizza menu, mingling classic combos with clever new-school creations. Settle in with a craft brew while you tuck into concoctions like harissa chicken with eggplant and haloumi, or pepperoni with cherry tomatoes and pork belly. Head in on a Tuesday and you’ll even score two for the price of one. This Chippendale local is renowned for its pizzas, with around 15 different seasonal varieties on the menu at any one time. Nab a spot in the beer garden, grab a cold pint of craft beer and get ready for some tough decisions – will it be the smoky BBQ chicken pizza, the chorizo and prawn Espanola, or the one loaded with three kinds of meat? Feeling strapped for cash? On Monday, every single one of them is priced at just $14. Public House’s handmade, wood-fired pizzas make for the perfect accompaniment to a session in the pub’s funky, all-weather beer garden. Kick back with a craft beer and chow down on treats like the Ve Ve Ve Vegan – with spinach zucchini pesto, smoked eggplant and soy ricotta – and the salami, red onion and two-cheese creation they call the Master Blaster. There’s even a calzone, loaded with chicken, oyster mushroom and a leek and potato cream. Live music might be the main game at the revamped Lansdowne Hotel, though the food situation’s none too shabby either. Perfect for those pre- or post-gig feeds, the pizza menu here is short, but sweet, running from a solid Pepperoni number, to one topped with nduja and buffalo mozzarella. Even those late-night cravings are sorted, with pizzas by the whole or the slice on offer until 2am. Merivale’s chic beachside beauty The Newport ain’t just a pretty face. It’s also kicking serious goals in the food department, especially when a classic, Italian-style slice is on the cards. Head straight to ‘Vinnie’s Pizza Menu’ for traditional creations like the Margherita and a prawn-laden Gambari, as well as craftier numbers like the Patate E Salsiccia – a combo of buffalo mozzarella, Italian sausage and roast potato.